I decided to just ignore whoever keeps claiming this is Willdip, &apos;cause it&apos;s not. I have been thinking, and I thought, since I haven&apos;t said anything about the weather yet, (at least I don&apos;t think I have) it&apos;s going to be early fall. Because I have something planned for the winter, okay? The weather was nice, a slight breeze forcing the leaves on the ground to dance around in small tornados of wind. It was early fall, and the residents of the Mystery Shack were getting ready for the predicted "you know what" to come. It has been 2 weeks since the newly created couple had they&apos;re full out make-out session in the backyard of the Shack. 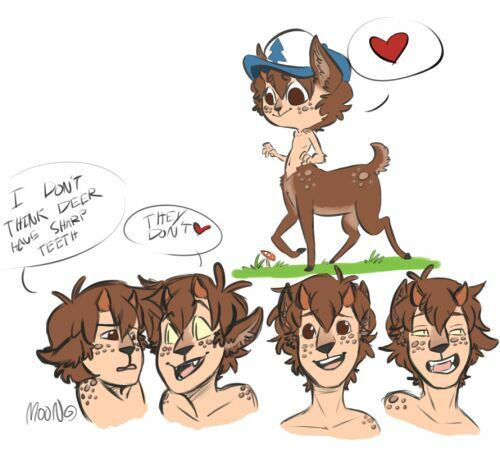 It&apos;s also been 2 weeks since Dipper Pines was grounded for eating his twin&apos;s flowers. "You&apos;re grounded! And I better not catch you two smooching in my presence again!" Dipper remembers Grunkle Stan&apos;s exact words perfectly. He ended up stomping up to his room with Will not far behind him, trailing at his heels like a love sick puppy. But that was 2 weeks ago. So now, technically, he wasn&apos;t grounded anymore but he refused to come out of his room. Either from embarrassment or anger, they didn&apos;t know. Grunkle Stan would never let him finish, though. He&apos;d usually just hit Dipper with a rolled up newspaper to get him off. The old gargoyle would even be so cruel as to lock the poor frustrated fawn in his room. You could hear his whimpers and pleads all throughout the house. But all Stan would do is yell "Do it against a pillow or somethin&apos;, you don&apos;t need anyone&apos;s leg!" from either the roof or the living room. Mabel would always secretly get Wendy to pick the lock on the door with her claws and let the cervitaur out. And Grunkle Stan would always end up right where he started. Dipper always claimed that he liked doing it against the gargoyles "skin" because it was rough and cold, which made it all the more better. But denied he said or did anything of the sort when his "heat" ended. The day they were all dreading has come. "Come on, Dipstick! You can&apos;t stay in there forever!" Mabel was pounding on Dipper&apos;s door. They added a ramp to the staircase, so she could easily make it up herself. All she got in response was a muffled "Y-Yes I can-!" from the opposite side of the door. He has long since kicked Will out, stating that he needed some alone time to think about things. The hunter has been stuck sleeping on the couch and surfing channels on the TV. Grunkle Stan was at his limit and wanted his TV back. Now the gargoyle was on the roof, "sleeping". Sleeping actually meant "freeze for the rest of the day" but Mabel guessed he was just keeping watch to make sure nothing bad happened or anything. Tired, and mad because she was soaking the floor, Mabel opened the door herself, so hard it most likely dented the wall when it made contact. 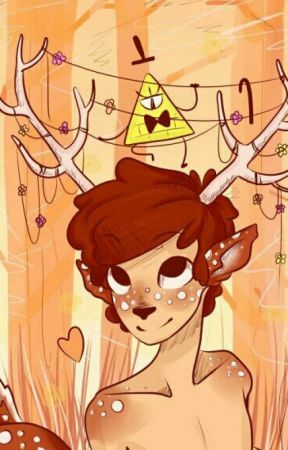 "Dipper, this is getting ridiculous!" The mermaid half-yelled, barely being able to fit her tank through the door. Dipper had his blankets spread throughout the whole floor, laying on his side, you could easily see his stomach rapidly moving with the cervitaur&apos;s quickened breath. His eyes were clenched shut, a dark blush obvious on Dipper&apos;s pale skin. One of his worst ever so far, Mabel thought. Dipper, instead of being overly confident most the time during his rut like he use to, he&apos;s starting to act more, let&apos;s say... submissive. Dipper cracked one eye open, voice quieter then Mabel would like to hear. "W-Whaddaya want.. Mabel?" Stuttering, he ran a hand over his side, petting himself to attempt making the pain go away. Mabel&apos;s eyes widened, "Is it really that bad, Dip..?" her hands were shaking. She wasn&apos;t expecting this, she absolutely hated seeing her brother in any sort of pain. "do you want me to go get Grunkle Stan?" Speak of the devil, the gargoyle really can see everything. Stan was leaning in through the open window, crawling in slowly, cautious not to break anything. 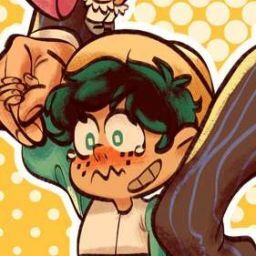 Crouching down next to the panting cervitaur, Stan placed his hand on Dipper&apos;s stomach, feeling his quickened breathing. Ignoring that for now, he ran his hand up and down his nephew&apos;s deer half, trying to sooth him. "What&apos;s the matter, kid?" Grunkle Stan gently grabbed a hindleg, tugging it upwards to take a look underneath. "something not feel right?" All he got in return was a shake of the head, and a light gasp when his hand got too close to the cervitaur&apos;s drooping tail. "N-No-!" Dipper shoved Grunkle Stan&apos;s hand away, then glanced at Mabel out of the corner of his eye. The gargoyle smiled slightly at Mabel "Mabel, sweetheart, why don&apos;t you go make sure William&apos;s not getting into something he&apos;s not suppose to." "O-Oh, okay. But call if you need anything, kay?" Mabel turned her tank around, hesitating while rolling out the door, and hopefully downstairs to where Will was. It wasn&apos;t even a minute later before the hunter came sprinting into the room. Mabel obviously told him everything. Getting up the gargoyle went to leave the room, but not before grabbing Will&apos;s wrist, stopping him. "Don&apos;t do anything you might regret, hunter." The gargoyle whispered, just loud enough for him to hear. Stan let go of his wrist, hobbling out of the room, shutting the door on his way out. William hurried over to Dipper, kneeling down. The cervitaur opened his eyes to slits, and when he caught sight of the hunter, his blush spread and a small smile bloomed. Taking hold of both Dipper&apos;s hands, Will smiled back. "You don&apos;t have to say anything, I already know.." He received a nod in return. After a lot of shifting around, the hunter ended up with his front pressed up against the cervitaur&apos;s human back, arms wrapped around him. Woah, woah, woah. Back up. This is happening way to fast but I love it, don&apos;t you? There was cuddling in this chapter, but I didn&apos;t explain much of it. But don&apos;t worry, there&apos;ll be plenty of time in future chapters~!